As a native Floridian, I do love my state and have been fortunate to travel to most parts of Florida. I have to agree that St. Augustine is the best. I have lived in the Ft. Walton Beach area as a child, Tallahassee as a teenager and Ponte Vedra Beach then St. Augustine as an adult. Most of my relatives live in South Florida, but they can't help themselves. They moved from "up north" and didn't know better. 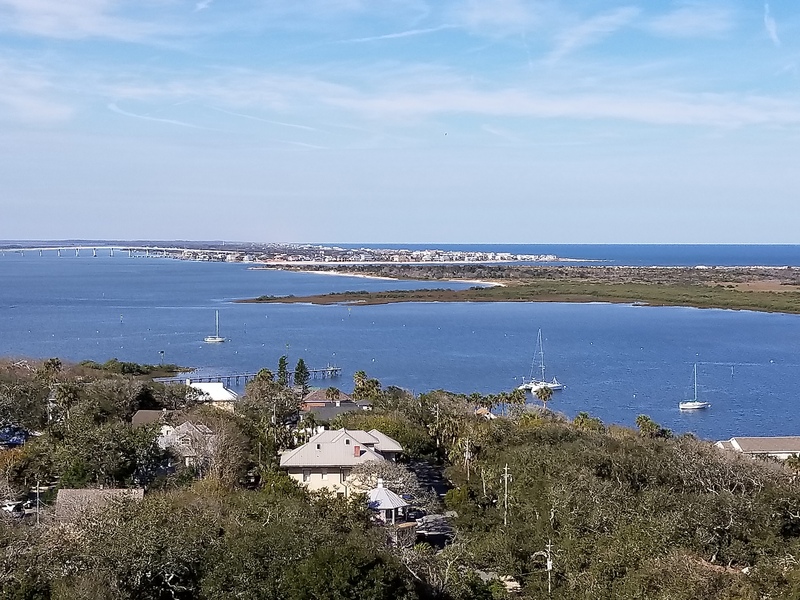 Native Floridians know the best place in Florida, and that is St. Augustine! In fact, our number one visitors are from the rest of the state and many of our vacation homes belong to Floridians that haven't moved here full-time----yet. They will, they all seem to evidently. There are so many fun things to do. Every weekend there is a festival, it seems, and you can find live music just about every night. More people I believe will move to Florida this year due to the new tax bill. Those in high tax states see the benefits of Florida's no state income tax and relatively low property taxes that we have. So, as I have warned before, you might want to buy now vs later before we close the gates to the city. Yes, we all know about our great weather and friendly people and relatively low cost of living. Our beaches on the Atlantic Ocean are beautiful and uncrowded and we have great history as St. Augustine is the nation's oldest city. We also have the Intracoastal and St. Johns River, a boating and fishing paradise. Tennis and golf courses are plentiful, too. So, I am not surprised to read about St. Augustine's selection by Money Magazine as Best Place to Live in Florida. Money Magazine has selected us for many different lists over the years. They like us, they really do! People come here on vacation because of our beaches, history, and attractions then fall in love with our great town. I look forward to welcoming you here! Looking for a new place to call home? Search here or call me 904-823-0027.